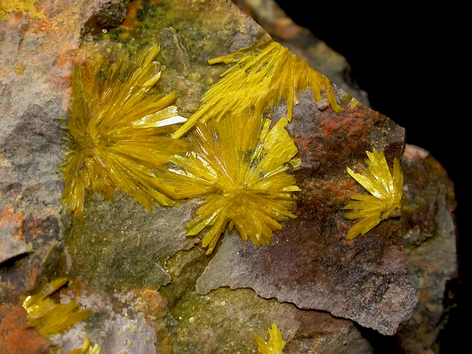 Kamotoite-(Y): Mineral information, data and localities. Named by M. Deliens and P. Piret in 1986 after the town of Kamoto, Katanga, Democratic Republic of Congo, where the type locality is situated. 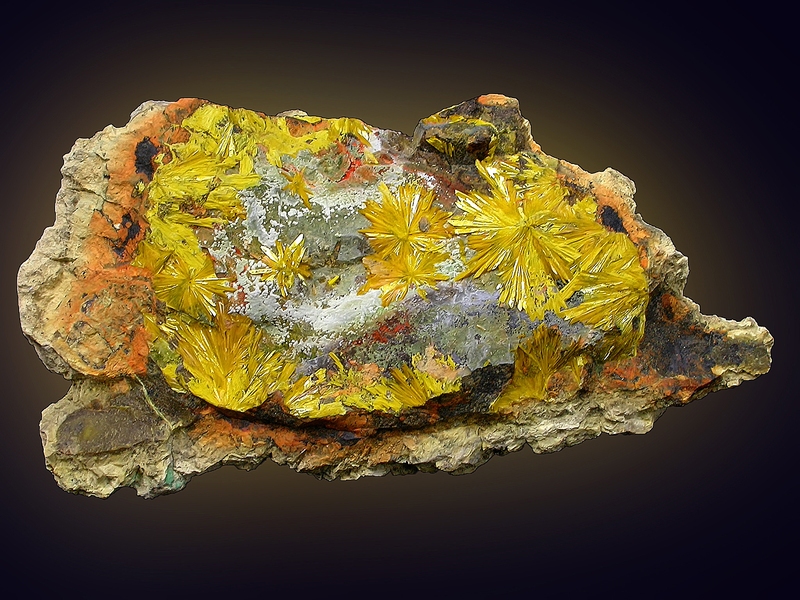 One of 4 currently known yttrium-uranium(uranyl) minerals of the natural salts class; the other representatives of this group are bijvoetite-(Y) (carbonate), alwilkinsite-(Y) and sejkoraite-(Y) (sulphates). Kamotoite-(Y) is thus the second natural Y-U carbonate after bijvoetite-(Y). The similarity of kamotoite-(Y) and bijvoetite-(Y) may be more than chemical in natue, as Plášil & Petříček (2016) have shown that structures of these two minerals are the same (although the identity of these two minerals is not yet confirmed). Nevertheless, the XR pattern is pseudo-orthorhombic due to twinning, and the structure is based on sheets of the bijvoetite-(Y) uranyl/anion-topology, the sheets being electroneutral. Water resides in the interlayer space and does not directly coordinate any cation. Astrocyanite-(Ce) 8 photos of Kamotoite-(Y) associated with Astrocyanite-(Ce) on mindat.org. 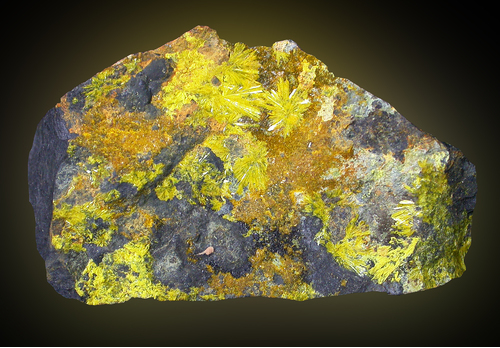 Uraninite 3 photos of Kamotoite-(Y) associated with Uraninite on mindat.org. Uranophane 2 photos of Kamotoite-(Y) associated with Uranophane on mindat.org. Shabaite-(Nd) 1 photo of Kamotoite-(Y) associated with Shabaite-(Nd) on mindat.org. 5.EA.10 Urancalcarite Ca(UO2)3(CO3)(OH)6 · 3H2O Orth. 5.EA.15 Wyartite CaU5+(UO2)2(CO3)O4(OH) · 7H2O Orth. This radioactive specie sit always on massive uraninite and should be manipulated and stored with precautions. Deliens, M., Piret, P. (1986) La kamototïte-(Y), un nouveau carbonate d'uranyle et de terres rares de Kamoto, Shaba, Zaïre. Bulletin de la Société française de Minéralogie et de Cristallographie: 109: 643-647. Hawthorne, F.C., Burke, E.A.J., Ercit, T.S., Grew, E.S., Grice, J.D., Jambor, J.L., Puziewicz, J., Roberts, A.C., Vanko, D.A. (1988) New mineral names. American Mineralogist: 73: 189-199. Deliens, M., Piret, P., Van Der Meersche, E. (1990) Les minéraux secondaires d'uranium du Zaïre, deuxieme complement. Institut royal des sciences naturelles de Belgique, 39 pages. Plášil, J. & Petříček, V. (2017): Crystal structure of the (REE)-uranyl carbonate mineral kamotoite-(Y). Mineralogical Magazine: 81: 653-660. 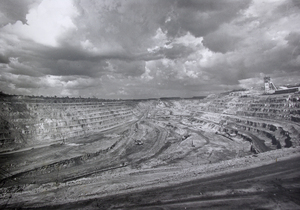 Stalder, H. A., Wagner, A., Graeser, S. and Stuker, P. (1998): "Mineralienlexikon der Schweiz", Wepf (Basel), p. 236.; Meisser, N. (2012): La minéralogie de l'uranium dans le massif des Aiguilles Rouges. Matér. Géol. Suisse, Sér. géotech. 96, 183 p.